Band Sealer Machine (Band sealer Vertical Type). 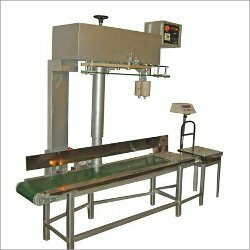 This Speed sealing Machine meant for continuous operation to seal any type of pouches made out of laminates or virgin films. Our Band Sealer Machine is known for its superior performance.